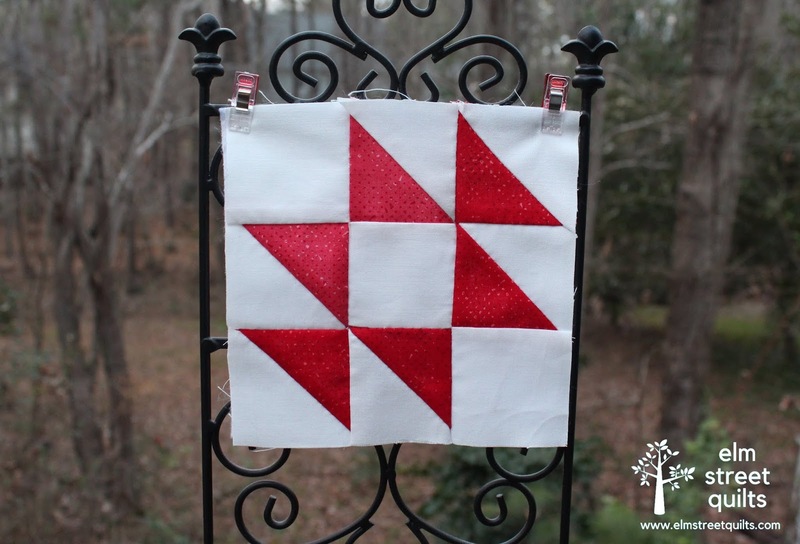 Welcome to block 2 of the Hand Pieced QAL! We are so very happy to have you joining us! The HST is often made two at a time when you construct with a sewing machine. By hand, however, it is best to just make one at a time. Although you will be sewing on the bias edge, the pieces are small enough that there isn't much risk to things stretching out of shape. The formula for cutting HST is very simple - take the finished size of the HST and add 7/8". For example, a 2'' finished square (like in today's block) starts with a 2 7/8'' square cut on the diagonal. 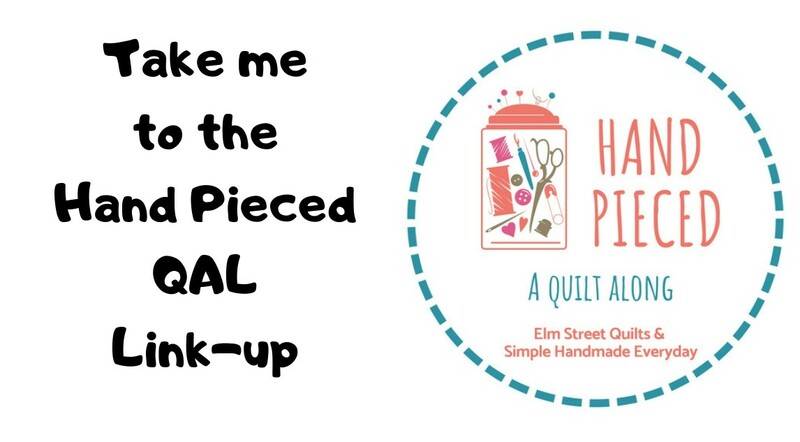 The Perfect Piecer is a great tool to mark the start and end points of your stitching line. Place a pin on those end points to remind yourself not to stitch all the way to the edge. Once the HST is sewn together, carefully press and sliver trim as needed to correct size and remove the dog ears. 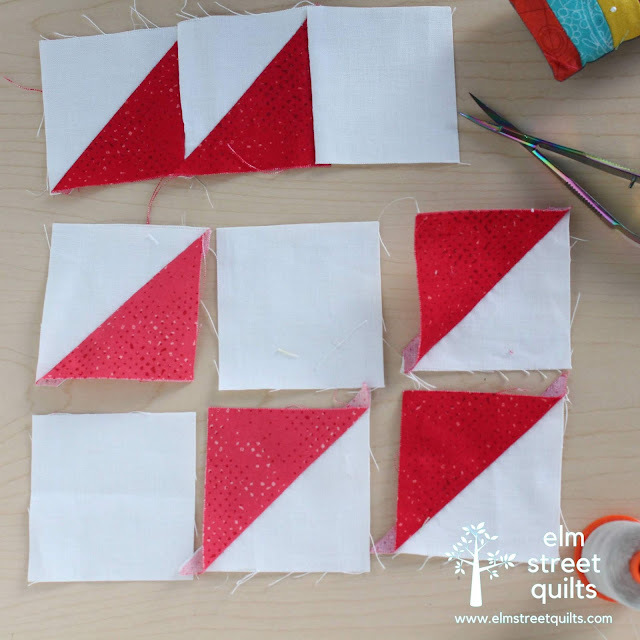 When you are ready to start assembling your block, again mark your stitching lines so they start 1/4'' from either edge and will line up with the stitches you did to create the shape. Carefully assemble each row paying attention to the block diagram so your HST are oriented correctly! 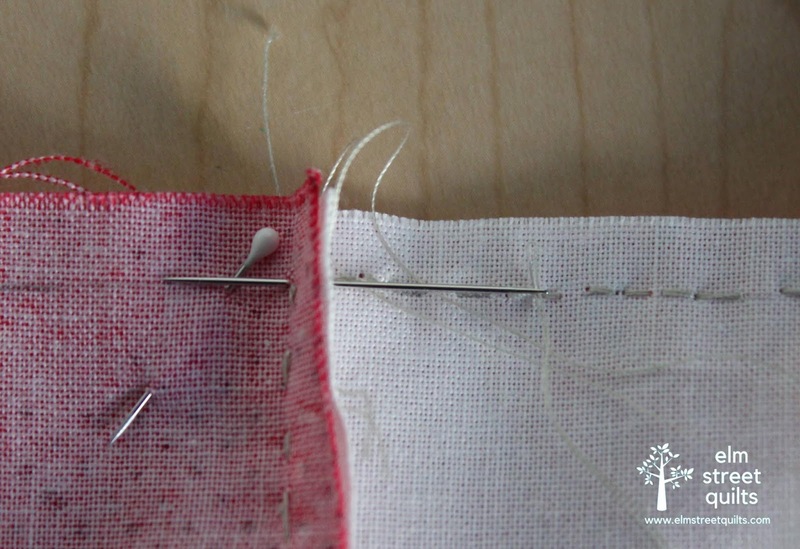 To sew the rows together, draw your stitching line and nest together the seams, pinning before and after. Remember to sew through the seam allowance, not over it. 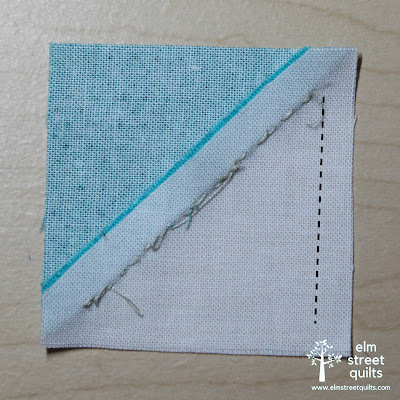 See the Sewing Seam Allowance tutorial for more information. Now let's make our block! All seam allowances are ¼". 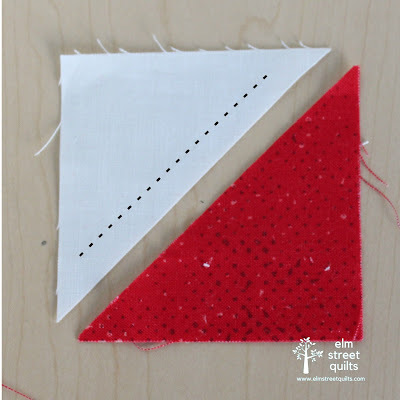 On a background triangle, mark a ¼" from each side of the diagonal and draw your stitching line between these marks. (tutorial). Place one print triangle on top of one background triangle, RST. Pin at the beginning and end of the stitching lines. Stitch along one side, starting ¼" from the edge and stopping ¼" from the end. 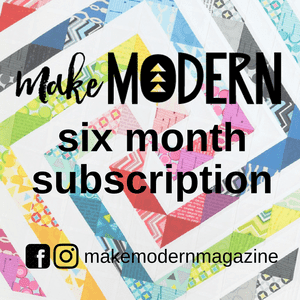 Finger press open, pressing seam allowance to the print side. Trim HST (if necessary) to 2 ½''. 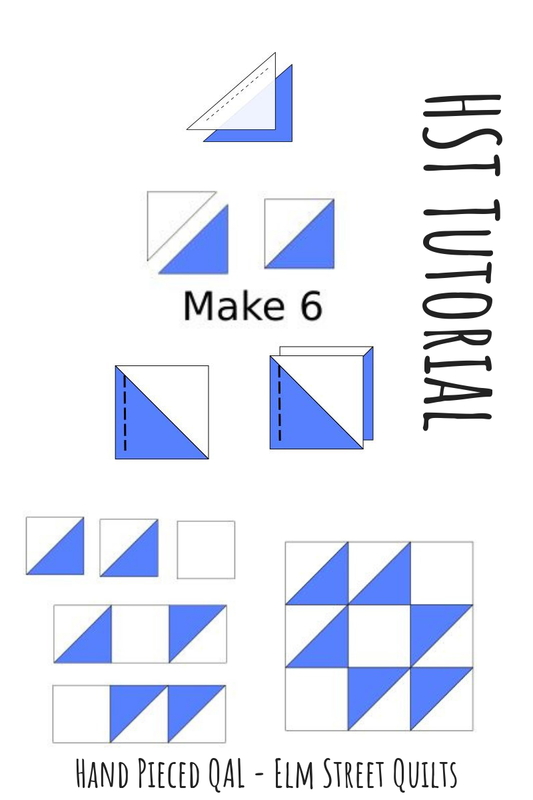 Repeat to make a total of six (6) HST. 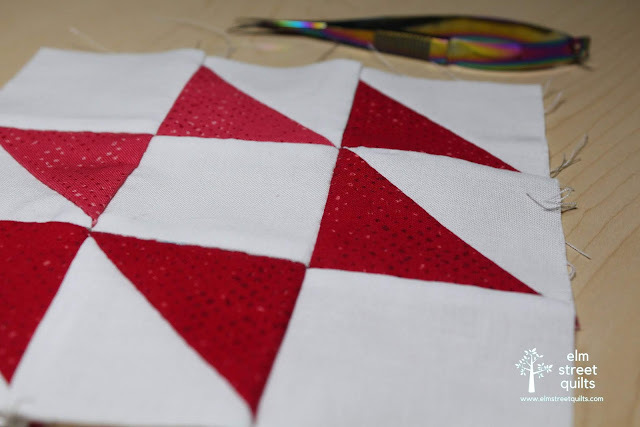 Following diagram, assemble block into rows after marking the stitching line on the wrong side of each block. Your stitching will start ¼" from the edge and stopping ¼" from the end. Fold the HST seam to the side so it is not caught in the stitching. Each row will measure 2 x 6 ½ ''. Mark stitching lines on each row. Place two rows together, RST, as shown in diagram. 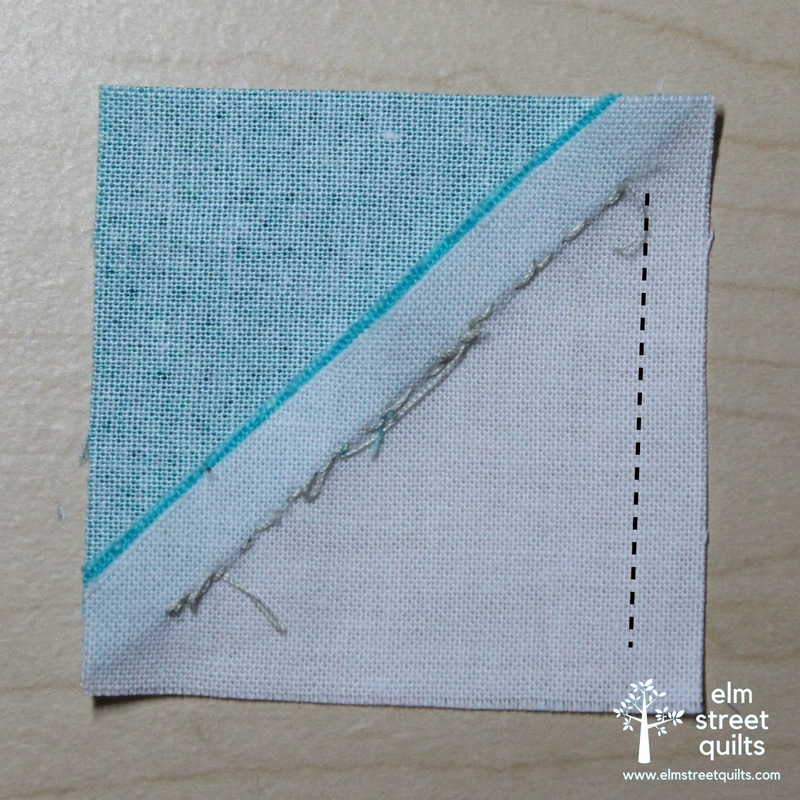 Pin at the each of the seam intersections, as well as the beginning and ending of the stitching line. Repeat to add final row. 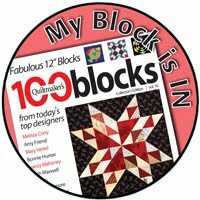 Thanks to Fat Quarter Shop and Famore for sponsoring the block tutorials! The link-up for the Half Square Triangle (HST) block - block 2 in our QAL - opens on Thursday, January 31! Finished blocks can be shared in any weekly link-up, however, so don't worry if you get behind. Another great block. I am really enjoying this. I saw this question in the Facebook group and thought I would ask again here... For those of us using template plastic rather than a quarter inch seam ruler what is the actual triangle size? Thank you? The HST finishes 2'' in the block. You should be able to cut a 2'' square in half for your template. Thanks, Patty! I'm looking forward to getting some triangles sewn up today! Love doing blocks by hand. I will start this week and hope to catch up with everyone. Your work is beautiful and I really like that red fabric!! Looks sparkly in the pics! Oh, and I love my Famore snips too! Triangles...oh my. Looking forward to giving it a try. Thanks for the great tutorial. And thanks to you and Kristin for all the hard work you both are putting into this for us! Great, easy to follow, and a pretty block. I just cut out my fabrics last evening and began stitching them together this afternoon. This is a great learning experience for me. The tutorials are great and very helpful, thank you.